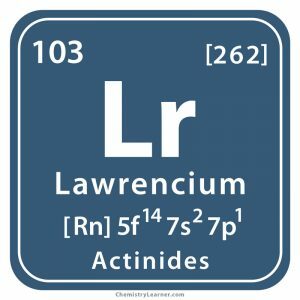 Lawrencium (pronounced as lor-ENS-ee-em) is a synthetic chemical element denoted by the chemical symbol Lr, and belongs to the family of actinides. 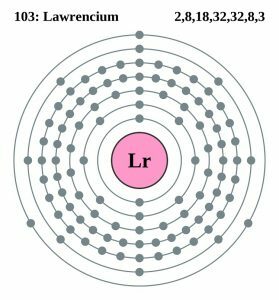 It has ten isotopes out of which the longest lived one is lawrencium-262 with a half-life of four hours that decays into nobelium-262 and mendelevium-258, through electron capture and alpha decay/spontaneous fission, respectively [1, 3]. 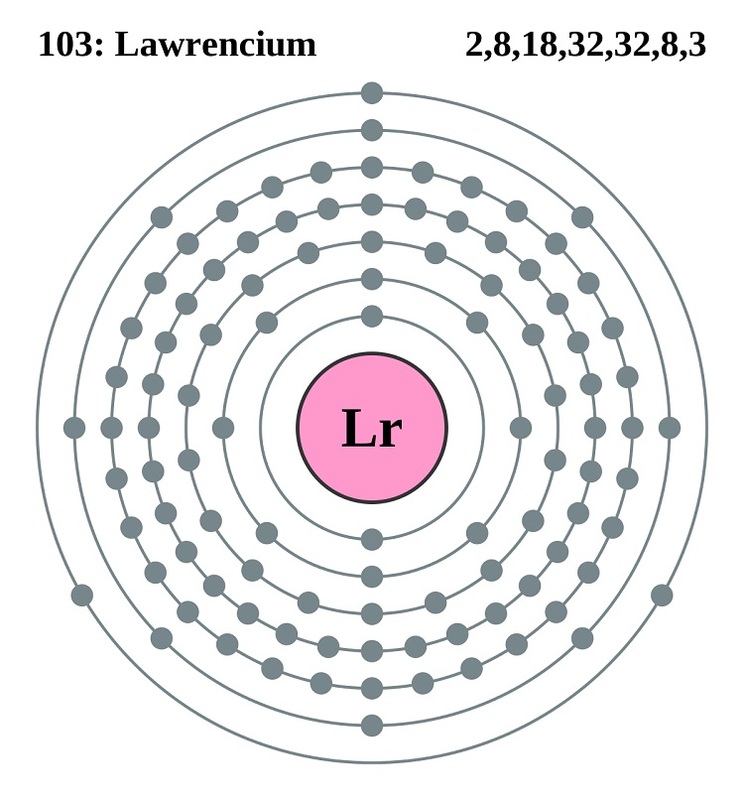 Origin of its Name: It is named after the American Nuclear Scientist and Nobel Prize winner, Ernest O. Lawrence . 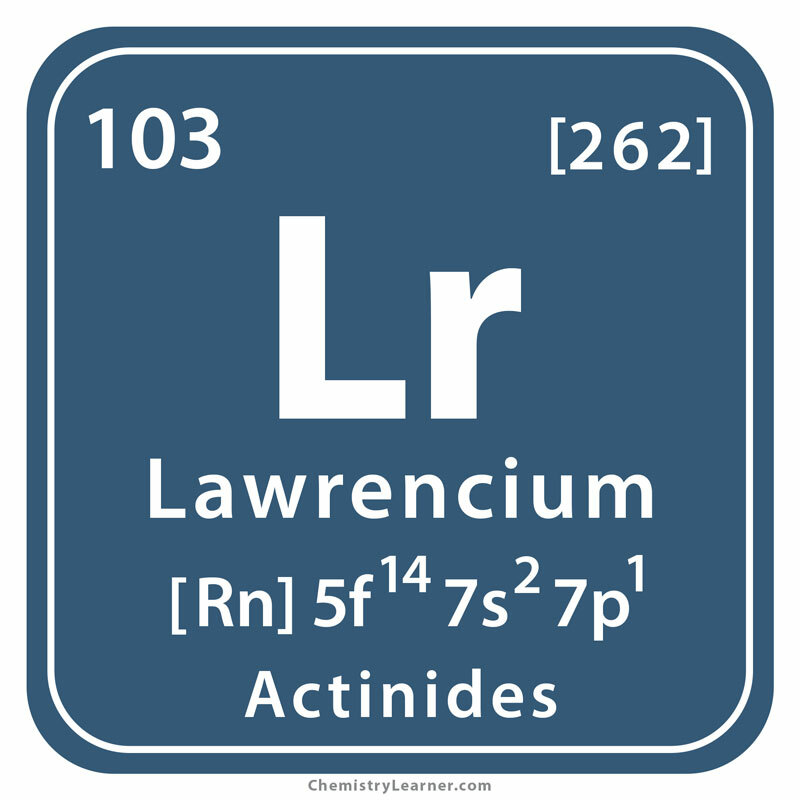 Who Discovered Lawrencium: Several isotopes of the element were produced at the Lawrence Berkeley Laboratory (LBL) . However, Albert Ghiorso, Torbjørn Sikkeland, Almon E. Larsh and Robert M. Latimer are considered to be its discoverers . 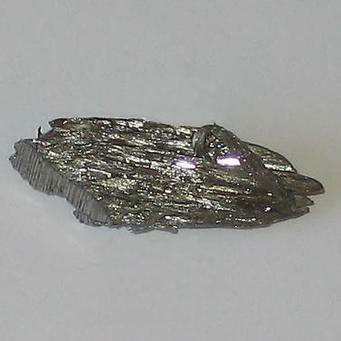 In 1958, at the LBL, a new isotope (named later as isotope-257) was obtained after bombarding curium with nitrogen. In 1960, in an attempt to produce isotope-259 of the same element, californium was bombarded with boron, but no concrete results were achieved. Again in 1961, Ghiorso and his team claimed to synthesize isotope-257 by targeting curium against boron [1, 2]. In 1965, the Joint Institute for Nuclear Research (JINR) at the Soviet Union bombarded americium with oxygen and got isotope-256, and also tried to prove the results of LBL as inaccurate. The LBL then claimed that they had actually produced isotope-258. 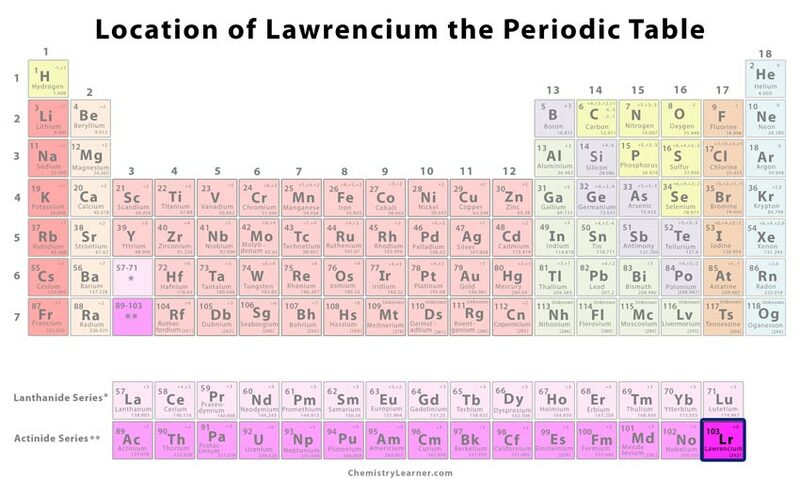 Finally, the LBL was officially recognized as the discoverer of lawrencium by the International Unions of Pure and Applied Chemistry . The element has no large-scale applications other than basic research work as it does not occur freely in nature . As the element does not exist in the earth’s crust, it does not pose any health risks. However, handling it in the laboratory could be a bit harmful since it displays radioactivity . The radioactive metal is not available outside of laboratory production due to its short half-life.